You've found the perfect tune for your video or song. It's everything you've been looking for and fits seamlessly. But it's copyrighted – what do you do? Well, you can't use it anyway so the search needs to continue. And that could take a while. If you're a video maker, game developer, or artist, finding the perfect companion to your work is important. But in this oversaturated digital world, it can sometimes be hard to find what you want without spending hours looking, or getting hit with copyright infringement. That's where NeoSounds comes in. We provide you with a huge library of royalty-free music that is bound to impress you. We know that creativity is king, and it needs to be unhindered! You can take your videos, music, and career to the next level when you're free to do what you want to fulfill your vision. So we've put together this guide to our top 5 audio editing techniques that you didn't know you need, but definitely do! And for more great info, hit up our website and blog to grab your music and find more great tips on our blog. As a music or video producer, you know the importance of creating "atmosphere." This means that the sounds playing match the vibe of what you're creating. When you are limited in what you can use, you can end up with a horror video full of Wilhelm screams – unironically. If you want to gain more views and listeners, you will want to keep a simple fact in mind: audio is more important that image quality. This means spending all that money on the best camera may not be the game-changer it could be if you don't have the audio to back it up. To help you bring your audio editing to the next level, keep reading! Because Neosounds is in the business of bringing the best audio to you, we want you to have the best sound possible. Audio editing isn't an easy process that you can just pick up and be perfect at right away. 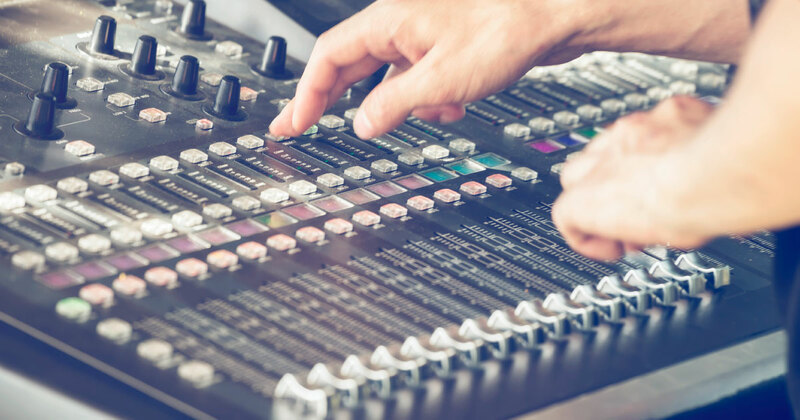 Audio engineers and long-time editors know this, so we've put together some tips that editors at any level can use to take their sound to the next level. When you're editing any video or audio clip, you will want to pay a lot of attention to the volume levels you are selecting. Did you ever go to your favourite band's concert and leave slightly disappointed because you couldn't hear certain parts? If the sound engineers make a mistake, you could have the vocalist drowned out by drums or the lead guitarist playing at a lower level than the bassist. These kinds of problems can happen similarly when you are editing video and audio clips. Make sure that the volume of your audio matches the specific section that you're working on. If what your editing fades between speaking and just music, you may find breaking your audio into sections helpful. This lets you fade and select different audio levels for each section, meaning the volume seamlessly drops when someone is speaking and then rises when they aren't. When you are editing audio, you will want to make sure that listening to your piece is a smooth experience. There shouldn't be any sudden changes in tone or volume, so you will want to blend! This means that you are washing songs together to prevent the listener from noticing a sudden song change. Think of it this way: you can have Nirvana followed by Lil' Wayne without it feeling like you just jumped into a cold pool. The best editors find ways to blend songs together so that it sounds like they've always belonged together. This could be as simple as fading one song as it ends or you could have to clip files and blend them at a point where they share similar tones, beats, or keys. When you are editing, you will want to make sure that you step away from what you are doing just enough to know if you are using the right filters and effects. Autotune can be a blessing or a curse, and it's pretty clear when this effect has been used too much. So you will want to pause and check if it's something you really need. You will want to make sure that the effects you're using make sense. There's room for experimentation, but be wary of using too many different filters within one song. Getting the right software doesn't always mean investing and arm and leg into the purchase. When you're just starting out, it may not be possible to drop hundreds on a complicated program, but this doesn't mean that you have to sacrifice quality. A good program will offer you a variety of effects and editing options to control and change the sound that a specific aspect of the composition. There are also tons of helpful apps that can allow you to tune and experiment from your phone or computer, which can then be paired with your editing software. Altering the tempo of your audio can add an interesting element to any composition. Instead of finding a thirty-second audio clip to fill in the last segment of your video, try looking back at your work with a fresh creative angle. Is there a slow section where your theme song is simply playing at a regular pace? Decide if this is a good time to stretch the tempo to slow it down and better fit the mood. By altering the tempo you are also opening your audio up to an entirely new world of possibility when it comes to editing. Changes that you made at normal tempo may sound completely different when sped up, so you are free to change the tune as you see fit!